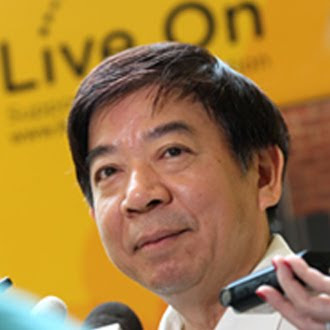 HEALTH Minister Khaw Boon Wan, 56, left hospital for home yesterday afternoon, following a successful heart bypass 11 days ago. He looked cheerful as he shook hands and said goodbye to the medical staff of the National Heart Centre (NHC). The minister, who has been on medication for years to keep his high cholesterol levels under control, was found to have a blockage in his heart during a routine health check-up. He underwent successful coronary artery bypass surgery on Tuesday May 4. He is currently recovering well in hospital, and is expected to be discharged home in a few days. He should be returning to a full work schedule in a few weeks' time. During the next 3 weeks, the responsibility of the Minister for Health will be covered by Mr Raymond Lim. 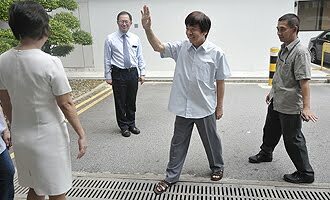 The Prime Minister and his Cabinet colleagues have also wished Minister Khaw a speedy recovery. Minister Khaw Boon Wan underwent a routine medical check-up recently and was found to have an abnormal stress ECG (electrocardiogram). Further tests revealed significant narrowing of a major heart artery. once pledged to serve and not exploit. his bill was charged for his heart operation. his medical reviews and revisits. administred to him in the next 6 to 12 months. He should disclose how much was his physio-therapy cost, too. to pay for the high of them. Hi, praise the Lord and pray for our Minister of Health Mr Khaw, a speedy recovery and pink of health, so that, he can continue to further Singapore better medical care both cost and management, amen. Trust the Lord and government where we, children of God, should have faith in Him and our authority in line. Blessings. when they are in MOH. a few years later. The black-hole of istana. goverment pm lee cover pap backside.